How well do you know cannabis anatomy? Here’s everything you need to know about the cola, the best and most smokable part of the herb. There is no plant that looks quite like cannabis. The herb can reach well over 10 feet high and it produces insanely pungent and oddly shaped vertical buds. But, what parts of the plant can you actually use? How do you care for these conical blossoms? To help make sense of the herb, a few short botany lessons may be required. To start off, first Cannabis Anatomy 101 lesson is all about the best part: the cola. 1. What is a cola? A cola is the flowering site of a female cannabis plant. More simply, it’s the place where cannabis buds bloom. Typically, the topmost bud is considered the main cola. This part of the plant is also known as the apical bud. When you consume dried cannabis flower, you are enjoying the cola of the plant. Colas are long and grow vertically in height. Colas form toward the end of major branches, where the buds have the most access to the sun and any potential pollinators. Small, round buds found toward the stem and on the bottom branches of cannabis plants are called “popcorn buds”. The primary cash value of cannabis comes from the plant’s large colas. Popcorn buds are typically sold for a lower price, used to make extractions, and may be considered low-quality flower. When left to their own devices, most plants will grow one single dominant cola at the top of the plant. However, various training techniques encourage the plant to produce multiple high-quality colas, increasing the total yield of your crop. Some of those methods include topping, screen of green (SCROG), and light stress training. However, some strains, like Mr. Nice, have single cola dominance. 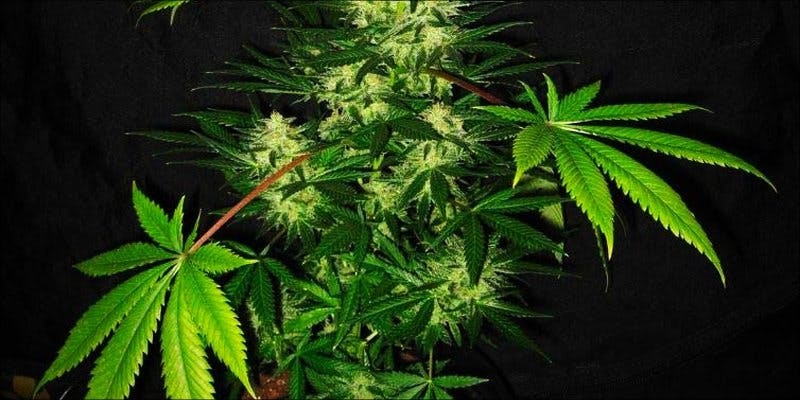 This means that the strain tends to produce one large apical bud with minimal side branching. For these strains, it’s best to use the sea of green (SOG) technique to increase yield. Sea of green allows you to focus care and energy on the central cola of multiple plants, and it does not rely on side branching. Single cola dominant buds often respond well to topping, but many growers prefer to let the apical bud develop. 4. Do male plants produce colas? Cannabis is a unique plant for many reasons. Not only does it produce an abundance of cannabinoids, which have mind-altering and medicinal properties, but the plant comprises of two distinct sexes: male plants and female plants. The term cola can refer to the budding site in either a male or female plant. However, male plants have an entirely different bud structure. Rather than produce one long, vertical cola, male plants produce small blossoms that look a little like upside down tulips when closed. These blossoms are pollen sacs. When the pollen sacs open, they form a star-shaped flower.